Modeling clay, like play dough or plasticine, are perfect materials for sculpture experiments with kids. 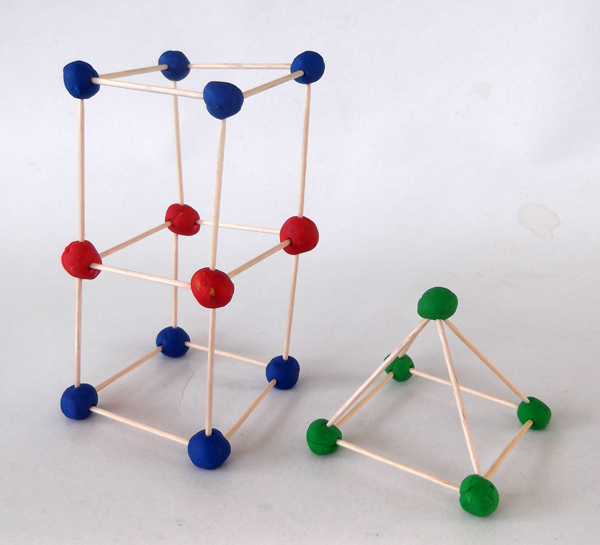 You can also use toothpicks to make 3 dimensional geometric shapes and frames like cubes and pyramids. Modeling clay, like play dough, plasticine or polymer clay or other clay suitable for kids. 1. 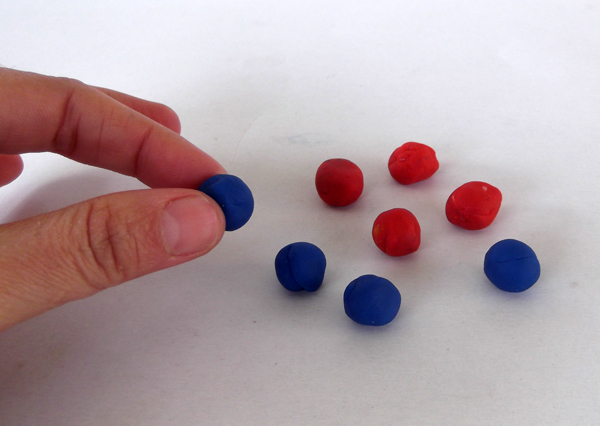 Begin by rolling out eight play dough balls,. The size of each ball to be around the size of you thumb. 2. 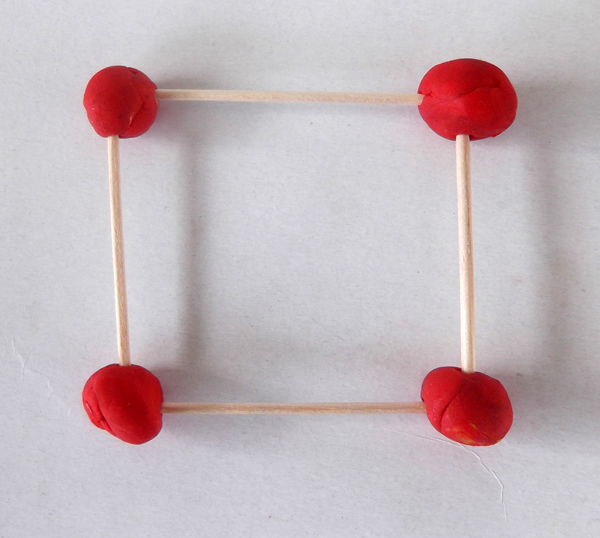 Attach balls and toothpicks together, to make a square frame. Do not push the toothpick too hard, to avoid passing it through the ball. 3. Make one more square similar square. 4. Attach toothpicks to the balls of the first frame. The new toothpicks should stand vertically. 5. Attach the second square frame above the vertical toothpicks. The cube frame is ready. 1. Attach two toothpicks and a ball together. The toothpicks should form an angle. Attach the triangular frame above the cube. 2. Add the back of the roof and join the top balls together with a toothpick. The structural frame of the house is ready. 1. Begin by rolling out five play dough balls. 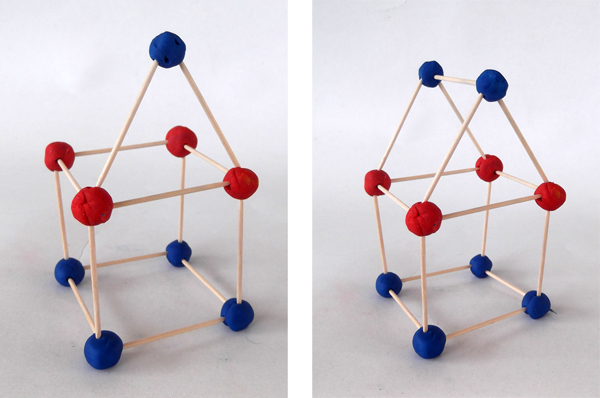 Join the four balls with four toothpicks, to shapes a 2d square. 2. Attach a toothpick above each ball of the base. 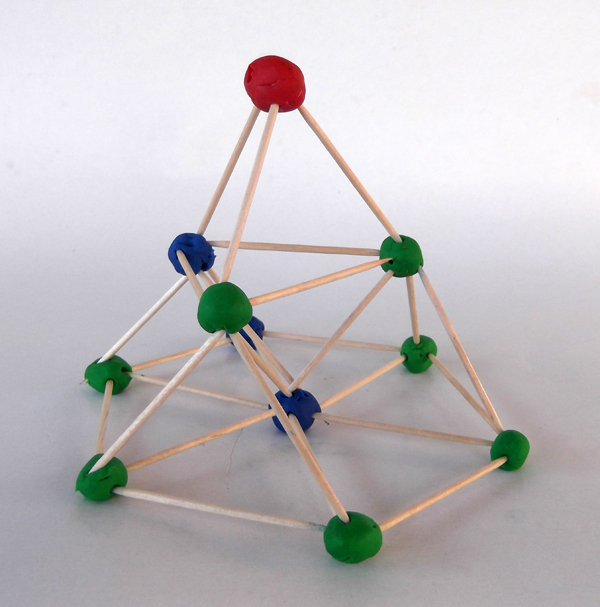 The top ends of the toothpicks should meet together, to shape a point. Attach the fifth ball to the toothpicks' ends. 1. Begin by rolling out four play dough balls. 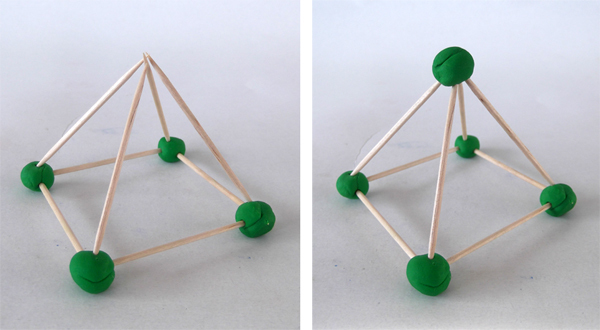 Join the three balls with the three toothpicks to shape a triangle. Attach toothpicks above the balls and angle them, so as the ends meet together. 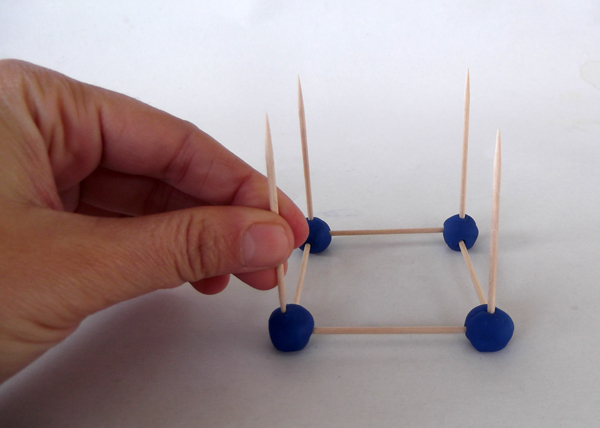 Attach a ball to the point where the toothpicks' ends meet. 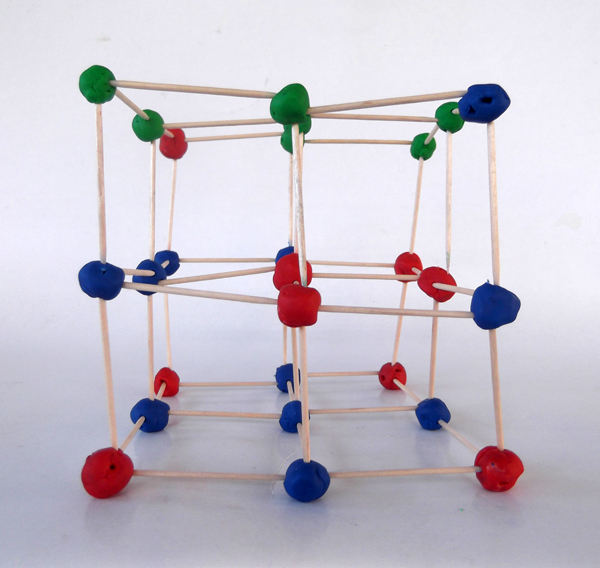 Now that you and the kids have understand the concept of the structural frames you can experiment with more complex, bigger and multi storey frames. 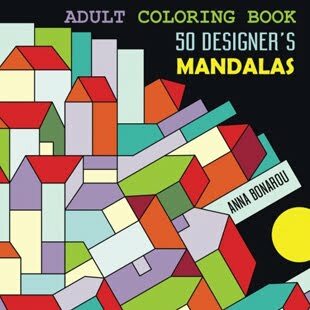 You can make really wonderful structures and become a little engineer.